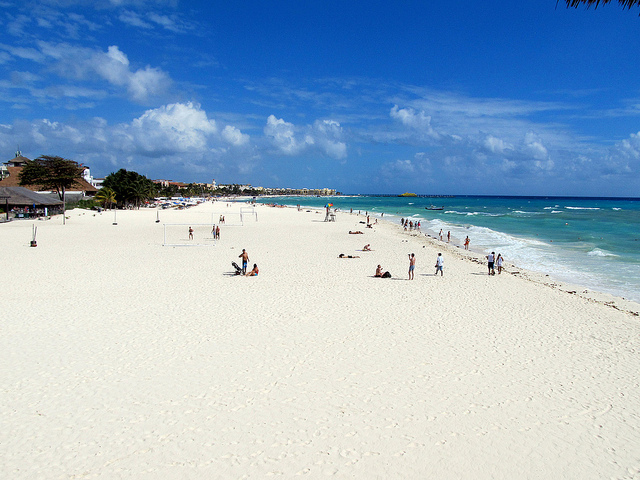 Playa del Carmen has become one of the most popular tourist destinations in Mexico, but an outbreak of violence serves as a reminder that whenever cruisers travel in a foreign country, they should be wary. This time, seven people lost their lives after gunfire broke out in a crowded bar about 10 minutes from some of the area’s most popular tourist spots. According to news reports, gunfire broke out at a bar called Las Virginias late Sunday evening. By the time the shooting was over, seven men had been killed. An eighth man who was shot but survived had few details to offer the police as they tried to piece together what had taken place. The Associated Press said that sources believed the violence to be a direct result of the Jalisco drug cartel moving into the region and taking on local gangs. A statement from the General Directorate of Public Safety and Traffic read, in part, “this cowardly act should not go unpunished. We will work hand-in-hand with federal and state corporations to deal with organized crime and rescue the image of Solidaridad as a tourist attraction.” Solidaridad is one of the municipalities which make up the Mexican state of Quintana Roo, the municipal seat of which is Playa del Carmen. The U.S. Department Of State currently has Mexico under a Level 2 warning, meaning visitors should “exercise increased caution.” The reason for the elevated warning is listed as widespread violent crimes such as homicide, kidnapping, carjacking and robbery. “The U.S. government has limited ability to provide emergency services to U.S. citizens in many areas of Mexico as travel by U.S. government employees to these areas is prohibited or significantly restricted,” reads the website. The latest shooting comes only days after a New Year’s Eve attack left one man dead and another injured outside a Playa del Carmen restaurant. And last year, several cruise lines joined the United States Embassy in Mexico in issuing warnings about the Cozumel-Play del Carmen area after a ferry between the two was bombed and a suspicious device was found on a second ferry.